This is one of my son’s favorite lunches. It’s so quick and easy to make, I’ll put it together in the mornings and put it in a thermos so he can have a delicious, hot, healthy lunch. 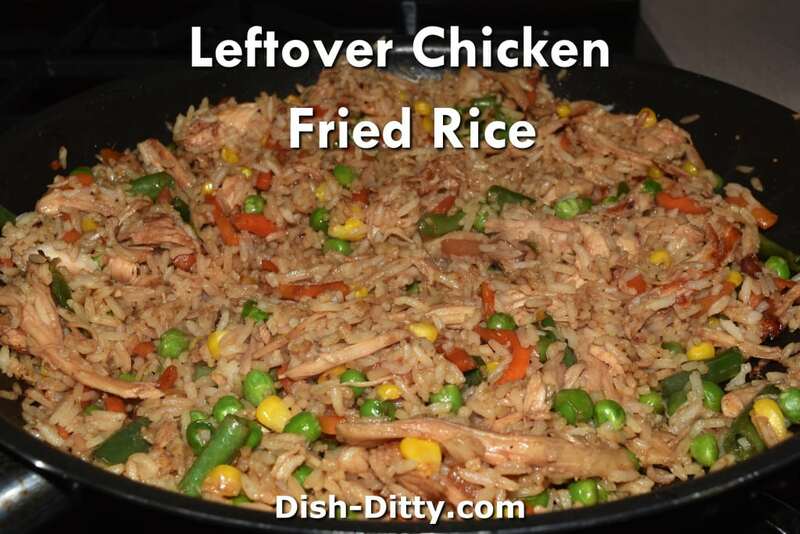 This recipe works great with all kinds of leftover chicken. I have used leftover Roasted Chickens from Safeway and Costco, leftover Smothered Chicken, leftover BBQ Chicken, and more. This is one of my son's favorite lunches. It's so quick and easy to make, I'll put it together in the mornings and put it in a thermos so he can have a delicious, hot, healthy lunch. Mix the soy sauce, lo mein sauce and seasoned rice wine vinegar in a small bowl and set aside. In a skillet, heat oil. Add chicken and vegetables. Once the vegetables start to soften (about 1 minute), add the sauce mixture from step 1. Cook for about 1 minute. 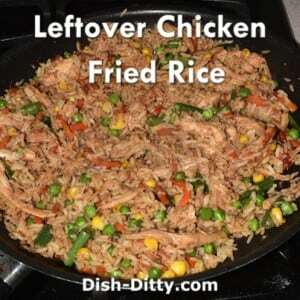 Add the rice, and cook, stirring constantly, until the rice is hot and the chicken and vegetables are mixed in. 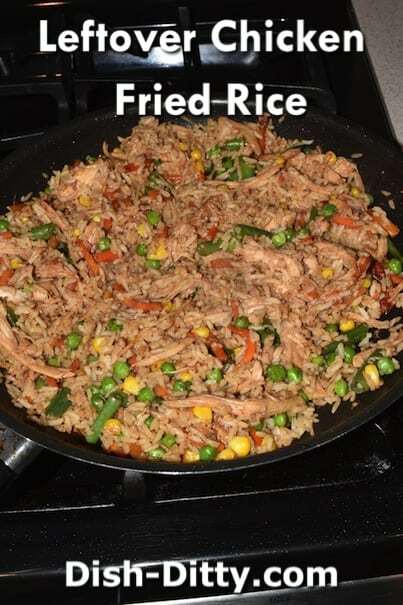 Taste the rice really quick, and add more soy sauce if needed. Serve hot. 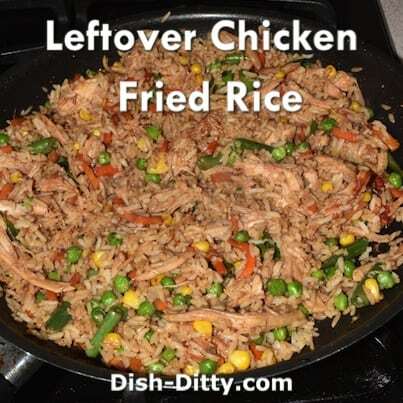 No Replies to "Leftover Chicken Fried Rice Recipe"